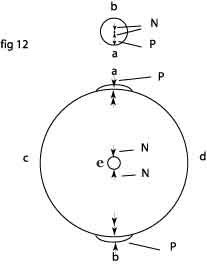 How do you explain the opposite high tide phenomenon? 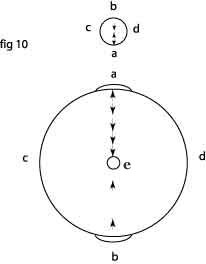 Graviton messages sent by the moon creating the high tide at point a FIG. 9 on earth. They are not strong enough to pearce the earths magnetic belt twice, at an angle, like at point c and d, to escape. The gravitons reflect onto the magnetic belt a number of times and collide with the gravitons coming from the opposite direction at point b. 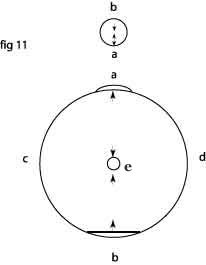 These gravitons are hereby reflected onto the planet causing the contra high tide at point b. This doesnt really fit into GM but it is an idea, one leads into an other. ..!" I said," no." So this is a return how do you do John.